Little cute Ron Burgeron always dreamt of becoming a musician. 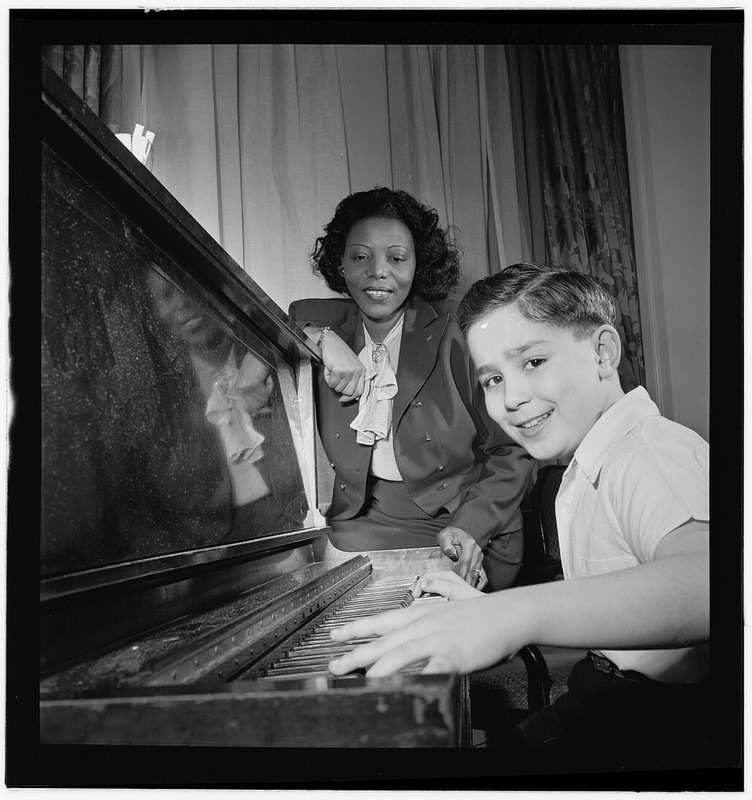 He sure showed to be quite talented and made tremendous progress in his piano lessons. Dorothea Jackson (pretty lady in the picture above) always said “I’m mighty looking forward to having Ron over for his lessons every week”. “And I sure appreciate the money too”, she used to add to that. Unfortunately as time went by, due to money problems of our neighbors – well, we said it was their IRS letter but they kept saying it was us who owned money to the IRS – the piano lessons had to stop. Little Ron was devastated – which likewise his dad helped Ron in his drinking later on – and settled for an old guitar which he played about all day long. No day passed by, or you could have heard Ron singing his sad Burgeron Trailer Blues over and over again.